As with every other area in modern life, technology has improved the way in which dentists diagnose and treat their patients. 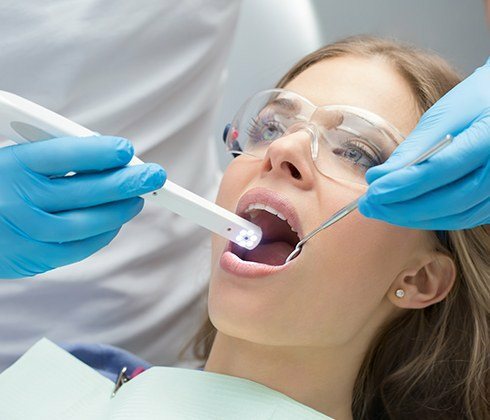 Thanks to recent scientific advancements, such as digital imaging, today’s dental instruments allow patients to receive their dental treatment without the discomfort or multiple visits traditionally associated with dental care. Dental technology has evolved to make dental procedures less invasive and dental restorations healthier as well! Dr. Bob and Dr. Chris take pride in staying abreast of the latest advancements and continually learning new ways to make your dental experience more efficient and comfortable. Long Family Dental employs an array of first-class technologies for the diagnosis and treatment of patients throughout the Cleburne and Midlothian communities. 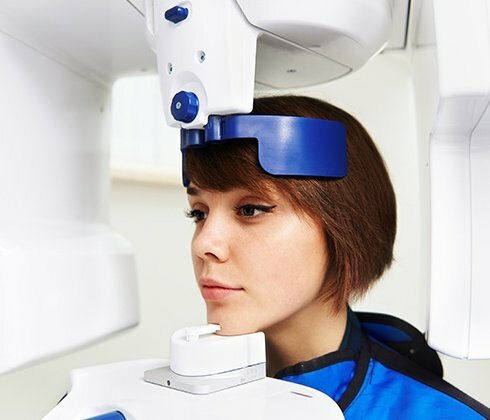 Although traditional dental x-rays emit minimally low amounts of radiation and many precautions are taken to protect patients from unnecessary exposure, some patients may still be apprehensive when undergoing dental X-rays. Traditional dental X-rays are also time-consuming and usually extend the amount of time a patient must spend in the dental chair. 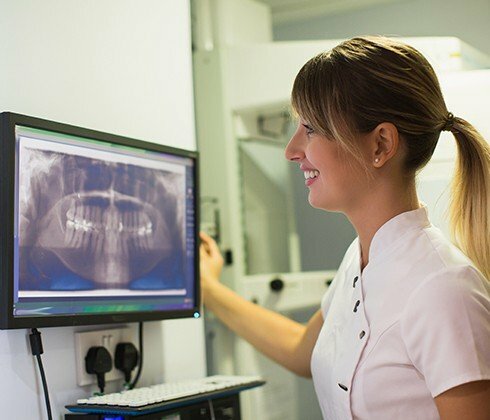 That’s why Long Family Dental uses digital radiography, a high-tech replacement for traditional dental X-rays, which significantly reduces radiation exposure and produces high quality images instantaneously. The digital radiography process is different than traditional dental X-rays. With digital radiography, the doctor will use a digital sensor to capture images of your teeth. The digital sensor is electronic and connected to a computer. Once the digital X-ray is taken, the image is projected onto a screen inside the exam room for the doctor to immediately review. There’s no need to wait for film development to begin your diagnoses. Digital images can also be easily manipulated for prioritized viewing and conveniently stored and transmitted for insurance or referral purposes. An intraoral camera is actually a tiny video camera which takes images of your teeth and gums. Intraoral cameras look similar to electric toothbrushes (minus the bristles) and while usage varies depending on the model type, are typically equipped with a disposable protective sheath for each new exam. While simultaneously viewing a chairside monitor, the doctor can insert the intraoral camera into the mouth and gently rotate and turn the device so that many different angled images can be taken in just a few short minutes. These images can also be scaled and refocused to zero in on problem areas and more readily communicate hard-to-conceptualize information to the patient. Intraoral cameras have been in use for over twenty years but are constantly upgraded to provide higher quality images. They have become an essential tool for any dental practice. Instead of the traditionally messy putty impressions needed to complete a tooth restoration, Long Family Dentistry now uses intraoral scanners, like the new True Definition Tooth Scanner. 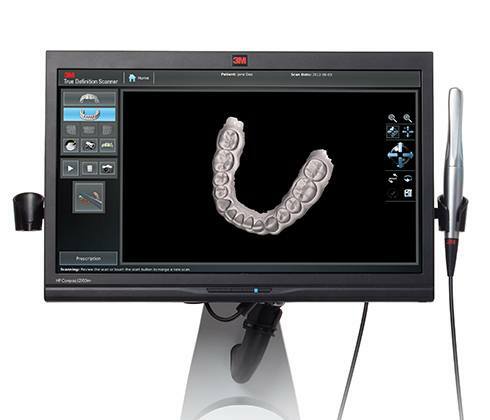 This state-of-the-art technology allows precise dental impressions to be taken and stored digitally. Today, intraoral mapping technology with three-dimensional scanning of the mouth is required for many restoration procedures and orthodontic treatments. These scanners can deliver highly accurate, full color digital impressions of your teeth in a matter of minutes.